Take a look at a beginner’s lesson right here! 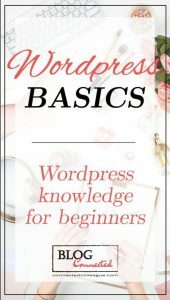 My friends ask me how to build a blog with WordPress because they really wouldn’t know how to begin. How to make it look orderly, colorful, or entertaining, depending on their purpose for blogging. Most people I know are heading for pretty simple retirement living. And they would like to make it a little, or a lot better! Here is an article I found about blogging and how it used to be done. The author doesn’t really tell you how to do it, but outlines the elements you must learn to somehow put it all together for yourself. It’s all good information and I think you’ll find it helpful. I recommend you read it. click through to my article Getting Started. You can learn to build a blog with WordPress with no money. You can get two free practice sites with training included as to how to set it up. Point and click, rinse and repeat. Every article on this web site is oriented to a different part of blogging. I truly hope to help you begin, and continue, to write on line and make extra income if that is your goal. You need a blog. That’s a fact and they are relatively easy to build so let’s look at how to build a blog site. Some time ago, in the early years of the internet, somebody decided that it would be a good idea to tell the world what they were doing, what their opinions were, and anything else that happened to be on their mind at the time. The figured out a way to post these thoughts online and the world of blogging begun. Take a look at WordPress as well as other options and see which you like the best. One word of advice: WordPress is hugely popular because it has a whole series of plugins to expand the functionality of it. Smaller, less developed platforms do not have as many plugins. My comment here: I think this is incorrect or no longer true. Me again: when I used the system I recommend on this page, it was (and is) all automated for you. “If you have a little bit of website and database experience you can probably figure it out. WordPress, for example, gives a lot of detailed, easy to understand instructions for setting it up. Make sure to read those before paying somebody to do it. It’s not too difficult to learn how to build a blog site with a little bit of patience. Step 3: Find a theme All blog sites have a series of themes of skins that change the look of it. These don’t often affect the functionality of the site so have fun with this and pick one that is pleasing to your eye. 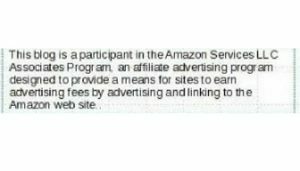 The reason I chose this article is to illustrate what you would have to do without the training and services from this system. It is a huge community of experts with tons of training. Start free, see it manifest in front of your eyes…And you decide how you will continue. I hope I see you in there! Have you tried blogging before? How did you learn? Please do share, and feel free to leave any questions below. 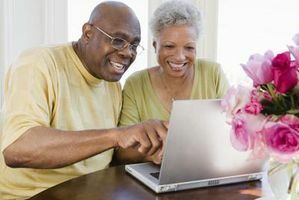 This entry was posted in Seniors And Disabled and tagged how to build a blog with wordpress, steps to create a website with wordpress. Bookmark the permalink. Thanks for this article. No doubt, with technology evolving at the speed of light, things have changed on how we do things, but the opportunity is still there more than ever. It’s true Michelle that with WordPress and a hosting company like Wealthy Affiliate, things are about as easy as they will get! 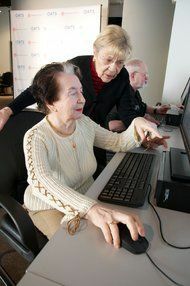 Seniors have a lot to give back, they can do that with a website and a blog. Having a way to build their own website and learn how to get their information out is great. I am in that bracket, 65 years old, I have been blogging for several years and found word press to be easy to use. The training you recommend is one of the best on the internet today. Good to hear that John. I intend, with this web site (powered by WordPress of course!) to spread the word! There is lots of opportunity for people with a few hours in their day to learn, to build an online income.